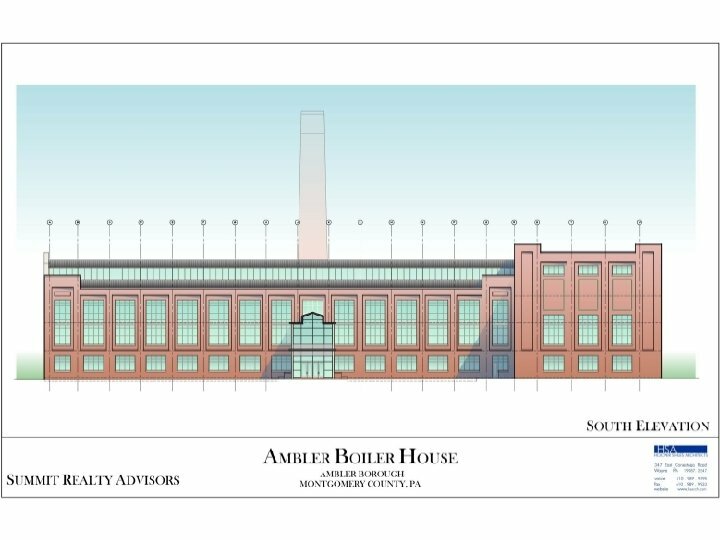 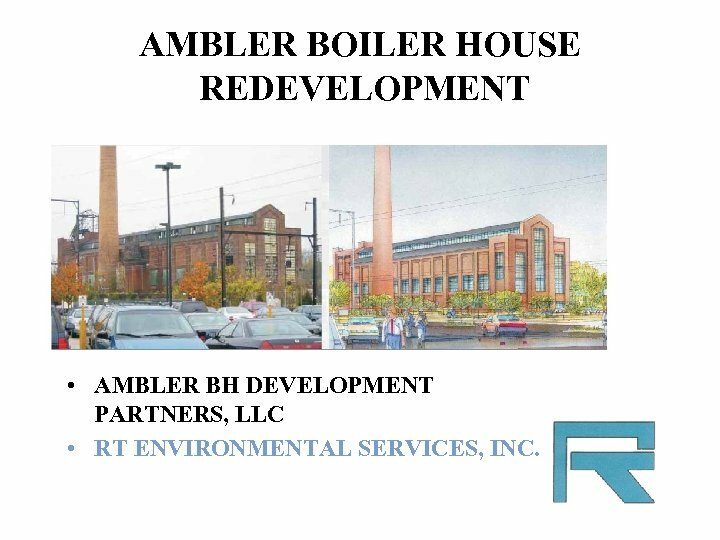 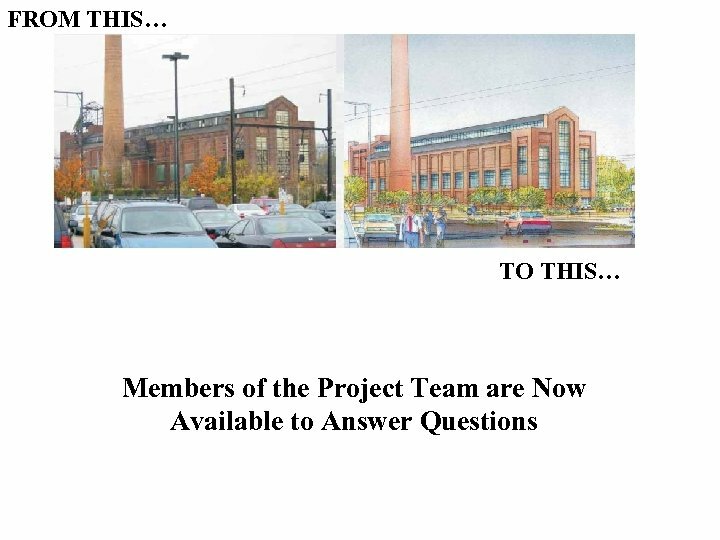 AMBLER BOILER HOUSE REDEVELOPMENT • AMBLER BH DEVELOPMENT PARTNERS, LLC • RT ENVIRONMENTAL SERVICES, INC. 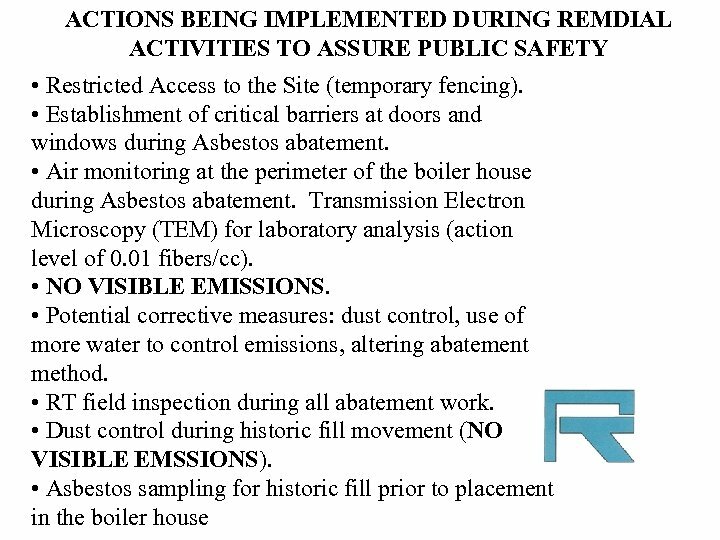 PLANNED REMEDIAL ACTIVITIES • Asbestos Abatement – removal of debris throughout the boiler house and surrounding surface areas, flat roof, transite panels, and remaining insulation. 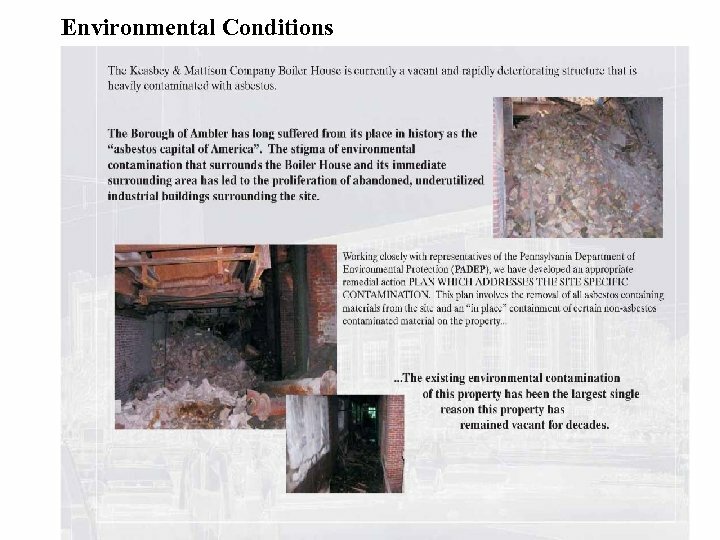 All building surfaces to be power washed to remove any residual asbestos fibers; all water to be collected and properly filtered and disposed. 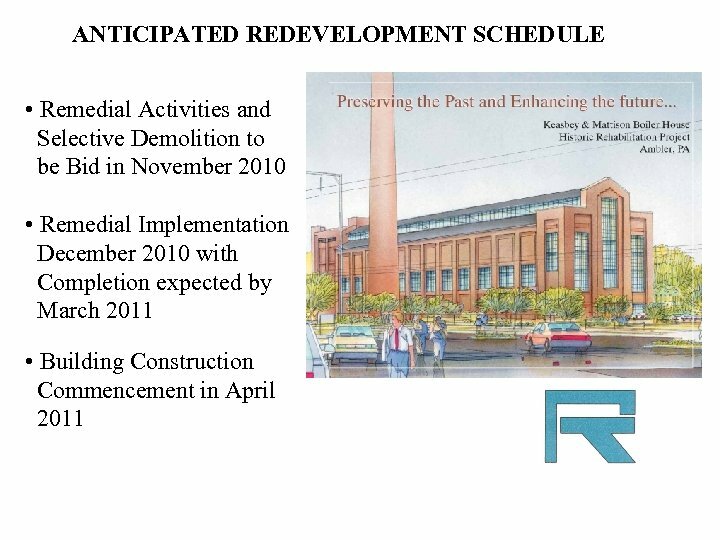 • UST Removal – pumping out remaining oil, cleaning the shell of the UST and removal of the UST. 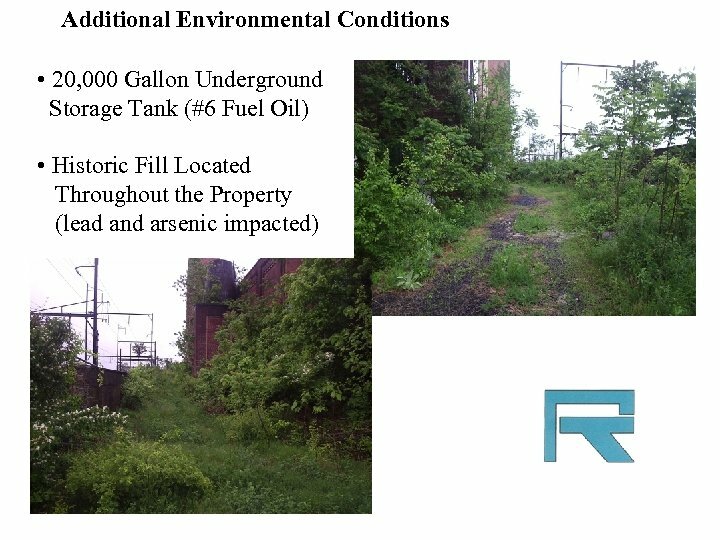 Post UST removal soil samples to confirm clean closure. 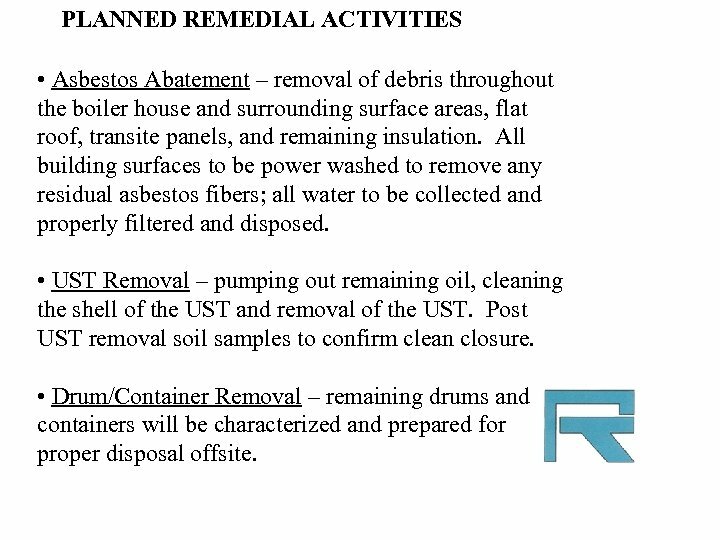 • Drum/Container Removal – remaining drums and containers will be characterized and prepared for proper disposal offsite. 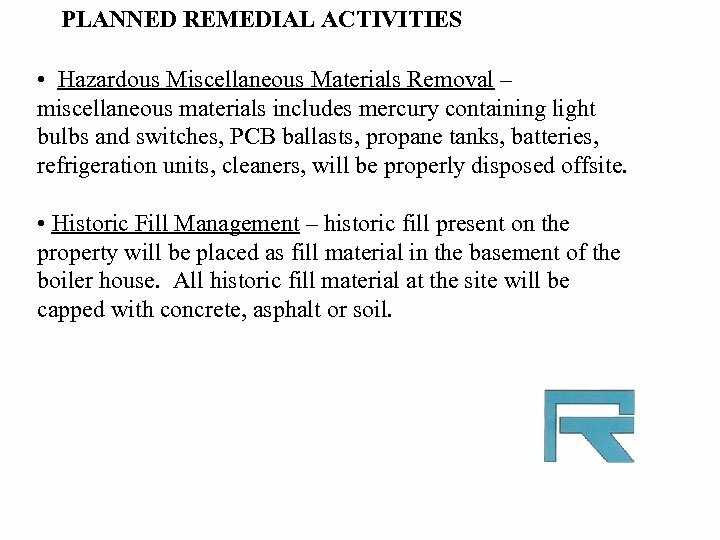 PLANNED REMEDIAL ACTIVITIES • Hazardous Miscellaneous Materials Removal – miscellaneous materials includes mercury containing light bulbs and switches, PCB ballasts, propane tanks, batteries, refrigeration units, cleaners, will be properly disposed offsite. 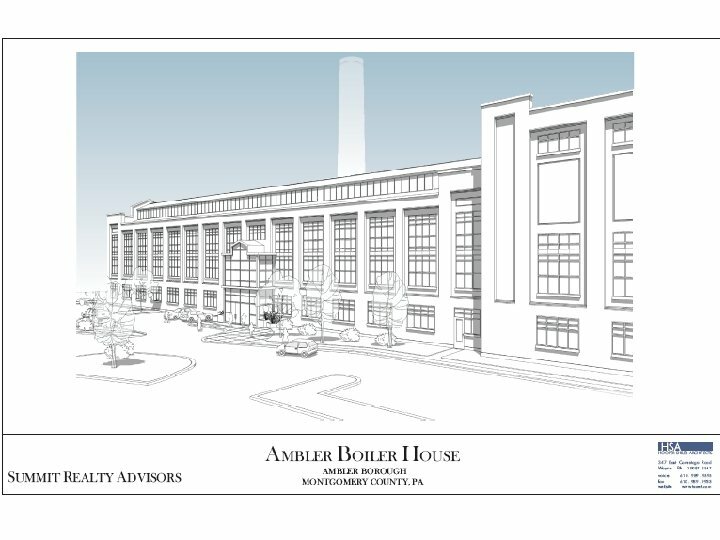 • Historic Fill Management – historic fill present on the property will be placed as fill material in the basement of the boiler house. 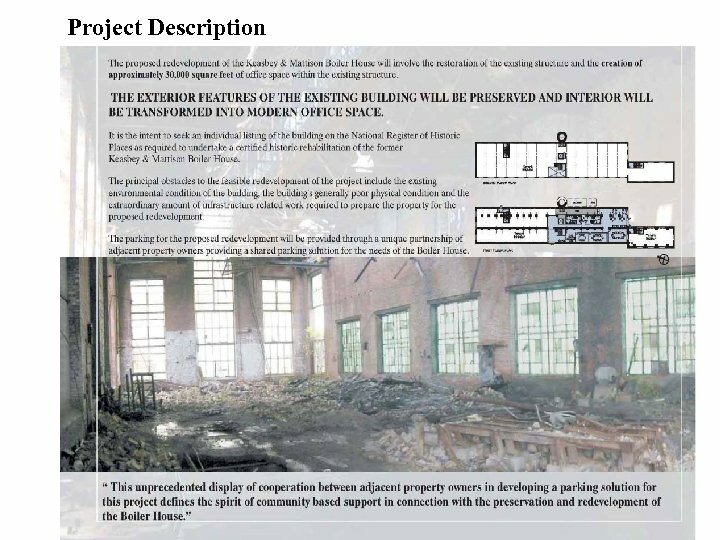 All historic fill material at the site will be capped with concrete, asphalt or soil.